A Safety Plan is a guide for staying safe from violence. Planning for your safety is a process of looking at your situation and assessing what you might need to help you feel and be safer. Your safety plan must be relevant to your needs and be adapted if your situation changes. It needs to incorporate an escape plan as well as practical strategies to improve your home and personal security. Safety planning is not about focusing on living in fear; it is about taking proactive steps to improve your and your children’s safety. It is about taking back control over your life. Safety plans need to include safety strategies for different environments such as home, social, work and vehicle security. If there has been any threats made against you or your family, contact the police on 000. Speak to the Domestic Violence Liaison Officer at your local police station or any other police officer, about applying for an Apprehended Domestic Violence Order (ADVO) which can include an exclusion order to keep the person you fear away from you. Report all breaches of your ADVO to police. Keep a record or diary of any breaches of ADVO orders or suspicious behaviours such as phone hang ups. Keep a note by your phone that includes information such as your street address and nearest cross-street that will help guide police to your location. Have dead locks installed. Do not dead lock yourself in at night; you need to be able to leave the building in case of an emergency such as fire. Install lockable security screens, where possible and keep them locked. Keep external doors locked when at home. If door keys go missing, change the locks. Make sure windows and sliding doors have good locks. You can lock windows cheaply by drilling a hole through the window jamb into the window frame and using a bolt to secure the window shut. A dowel stick can be used to prevent sliding doors and sliding windows from being opened (make sure these are an exact fit so windows cannot be jemmied open). Be alert to any suspicious people hanging about. Don’t ignore any ‘funny feelings’ – trust your intuition. Ask for identification before opening the door. Install a veranda light at a height that makes it hard to reach. Consider installing a sensor light. Trim shrubs and bushes from entrance ways. Ensure pathways are well lit. Note: In rental properties changing locks or making changes to houses needs to be done with the permission of the owner. You also need to supply your landlord or estate agent with a key to the premises. Keep electric fuse boxes locked. Check with your electricity supplier as they will need access to read the meter and can supply padlocks. Keep torches and spare batteries in an easy to reach place. Keep side gates and sheds padlocked. Consider a back-to-base alarm system with a remote button. Know the range of this device. Let trusted people know if you go away, Eg. Neighbours or family. Give a phone contact list of important people or services to people you trust in case of emergencies. Consider installing a loud, outside alarm that can be activated from inside the house. Make sure everyone in the home talks about suspicious calls or occurrences. Choose a code word that you can use without attracting attention e.g. on the phone. Let family and friends know that when they hear the word it means that a crisis is occurring. Keep in touch with neighbours; ask them to let you know if anyone has been hanging around your house and to contact the police if they hear any violent incidents or have any concerns about your safety. Keep trusted friends and neighbours informed about what’s going on. Make a safe evacuation plan. Make sure all household members know about and practice it occasionally. Is there a ‘safe room’ in your house that you can secure and that has mobile phone coverage? This could be a bathroom or laundry with a lock installed that could be a more secure place for you and your children to wait for the arrival of the police. Keep your outside area clear of garden utensils such as rakes, shovels, ladders or wheelie bins. Keep shed door locked. If possible lock the area under your house and consider installing a manhole padlock. Be prepared. Keep important papers together so you can grab them when you leave. Store copies at a safe location. How I will teach my children to manage their safety? Teach your children how to telephone the police and how to give their full name and address. Tell your children’s school or child care centre about the situation and about who has authority to pick up the children. Provide the school or centre with copies of any family law orders or ADVO’s. Join our mailing list to receive the latest news, updates and events. 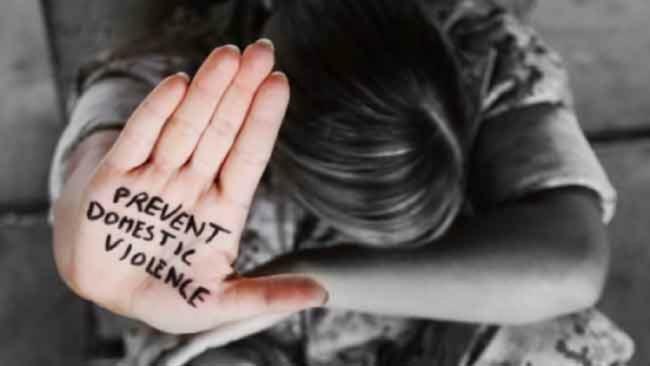 ICADV performs an important function in raising community awareness, contributes and promotes the effectiveness of local services in responding to victims of Domestic and Family Violence. The committee promotes a coordinated, effective response and encouraging interagency collaboration and cooperation.